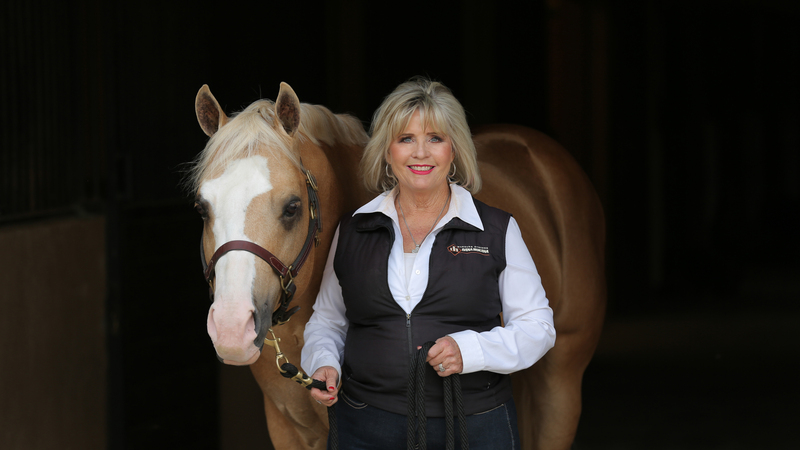 How to get the lean out of your performance horse Many of your training and showing problems actually stem from undiagnosed lean in your horse. 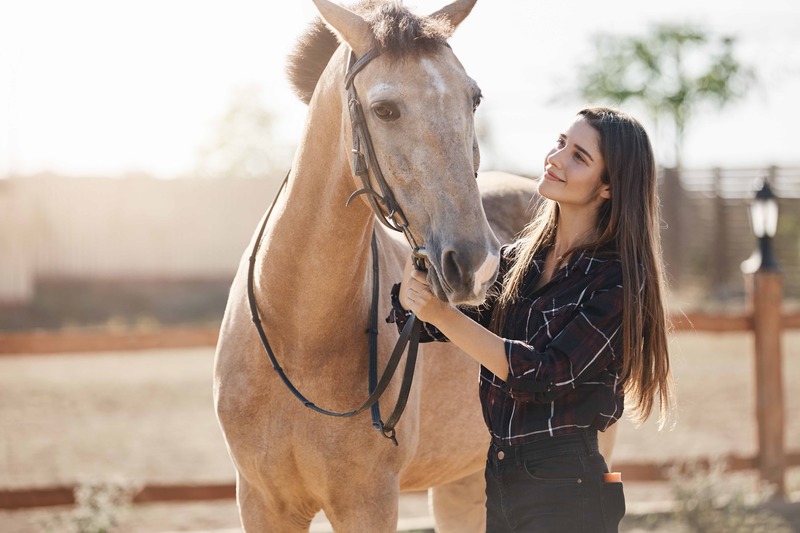 For your horse to be balanced, exhibit self-carriage and move with flow and cadence, he needs to be guiding between your reins and not leaning in any direction. Lean may seem vague or too elusive to figure out or not that important, but I can’t tell you enough how important it is to “get the lean out” in order to have a great moving responsive horse. So many times people bring me horses with cheating problems or movement problems and we fix it quickly by just figuring out that they are leaning, correcting it and they feel like they have a new horse! 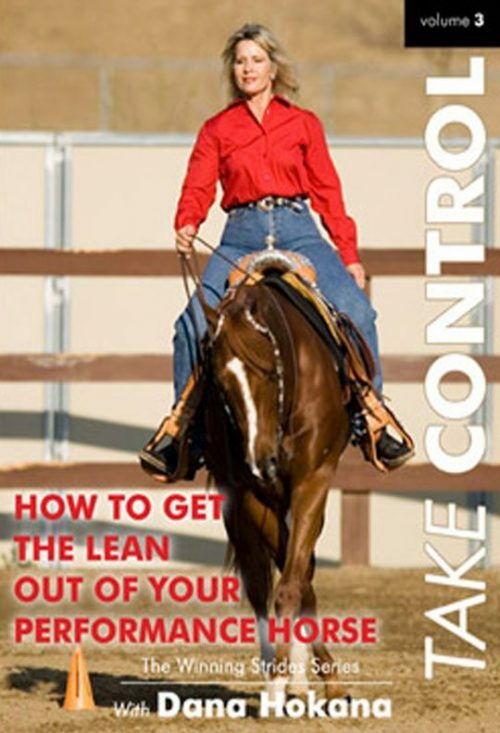 Lets talk about what lean is, how to diagnose lean in your horse and how to correct it. Lean happens as a result of your horse drifting with his body in one way or another. He may be leaning with his whole body or just a part of his body such as his shoulders or his hindquarters. He may also be leaning on his front end and out of balance or heavy on his forehand or he may be leaning forward with too much forward motion. To summarize, he may be leaning or drifting side to side, with his whole body or one part of it he may be moving out of balance, leaning on his front end or he may be leaning forward with too much forward motion, he may also be sucking back or leaning back not wanting to go forward. A horse moving out of balance almost always has lean. A horse that you are fighting to stay on a track or in a straight line always has lean. One easy tip to diagnosing lean is to walk, trot or lope on a circle. Decide the perimeter of your circle. Mentally draw that circle on the ground with chalk or paint or, if it is easier for you go ahead and draw it out on your ground. Then ride your horse on that circle. As you are riding take note of what he is doing, are you fighting or begging to keep him tracking on the circle or is he comfortable staying where you put him. If your circle changes shape or he drifts to the outside or cuts to the inside he is leaning. Sometimes they are fine at the walk or the trot and when you step up to the lope you find the lean or he may be good one directions but not the other. You can also set up four cones in a square. See if he can stay on a straight line. 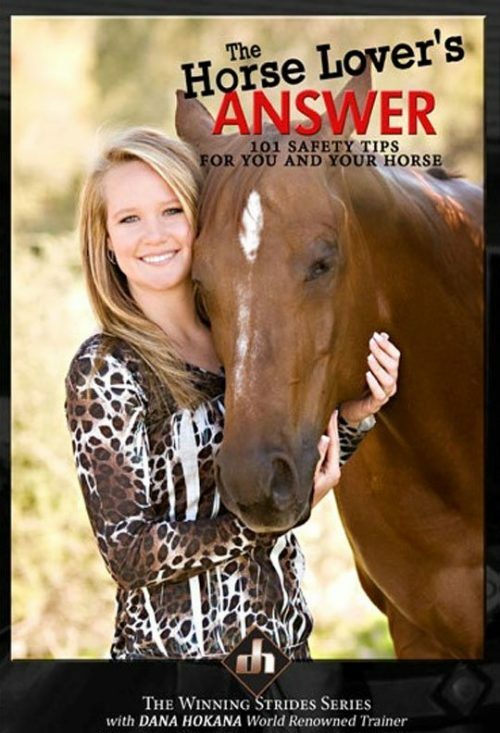 Next see if your horse is leaning on his front end. Simply say whoa and stop your horse. How did that feel? Was he heavy in you hands, did it feel like he pulled you forward, almost out of your seat. When you pulled him to a stop did he take another step or two forward out of the stop? If so, he is probably moving with too much body weight on his front end which is another form of lean. 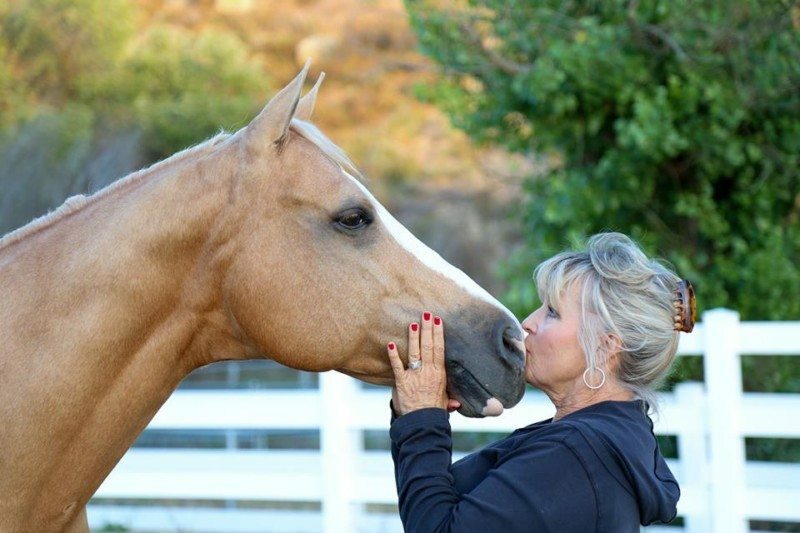 A horse should stop balanced and soft and feel light in your hands, not throw you up over his neck. Even better he should break or give slightly in his hindquarters as he stops with his weight distributed over his hindquarters. Is he leaning forward pushing to go faster? If your horse speeds up or accelerates when you drop off his face or release contact with his mouth he has forward lean. If your horse makes this decision to speed up without you driving or legging him forward he has lean. 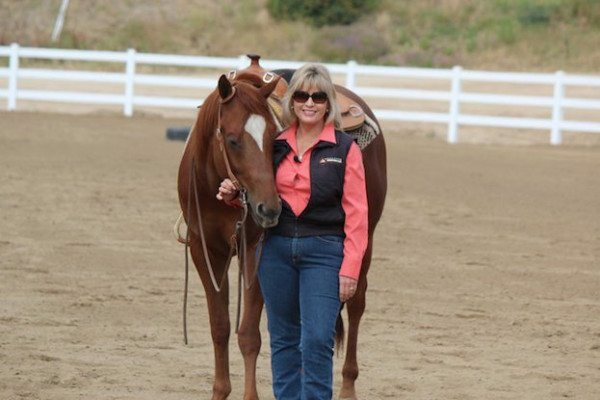 If your horse leans by drifting in or out of you circle or on or off of a straight line, you’ve taken the first step to correcting this by becoming aware that there is a problem. Don’t allow it any longer. If needed get a ground person to point out what they see or to reinforce what you feel. The line drawn in the ground or the use of cones helps make it really clear. It is a little more complicated when they throw just a hip out or lean a shoulder, but whatever or how ever they are leaning correction starts by becoming aware, and then stopping the lean by pushing them back on their track. Correct sharply and firmly if needed. Remember a broke responsive horse stays between your legs and bridle reins. Watch your cues, are you allowing the lean. Take your reins and bump him back over on his track if he is drifting to the outside or inside. If he is leaning on your leg you may need to move him over off you leg and do some leg yield exercises to reinforce his responsiveness to your leg cue. If you are riding one handed in the bridle neck reining exercises will keep him between the reins. Set up cones and practice guiding him in a course around the arena – change the course often so he doesn’t think ahead of you. If he refuses to turn or guide sharply pull him to the new direction until he will turn with only slight pressure. 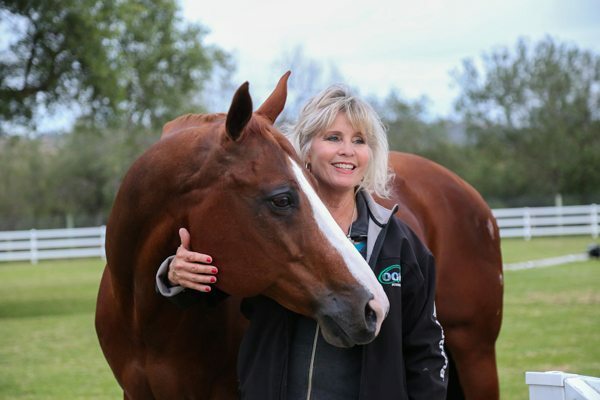 Insist on your horse being light and responsive. (If you need more detail in these exercises it is in my videos). If he is on his front end – Practice your stop. Once more, be aware of where his body weight is when he stops. Check your own body weight as you cue him to stop. This not only signals your horse to what is coming it also puts your body weight into your hands giving him to sharp of a cue. This teaches him to dread your pull. 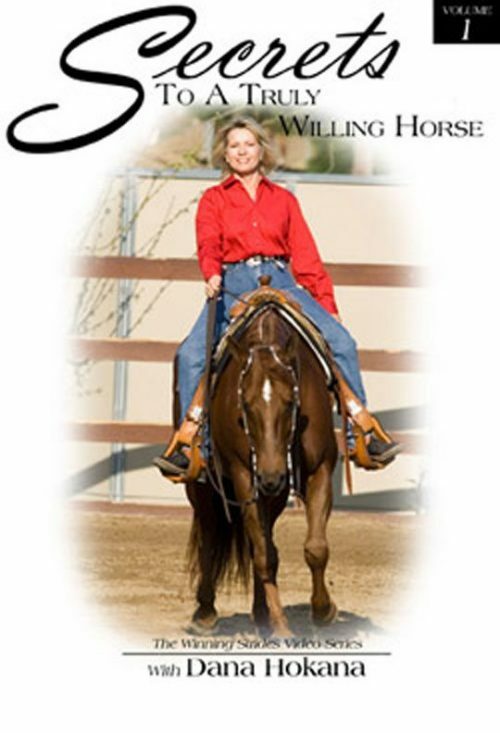 Simply fold your seat in the saddle and draw your reins back to pull your horse to a stop. If your horse stops on his front end, back him up and try the stop again. If he feels that he is dragging his feet that is more proof that his weight is on his front end. Back him up and get after him a bit to stand up and carry himself. Another good exercise is to stop him back a step or two and roll him back over his haunches, then trot him out of that stop and roll him back again. Do this until he stops balanced and soft in your hands and set a new standard for yourself and don’t allow him to go back to old habits. 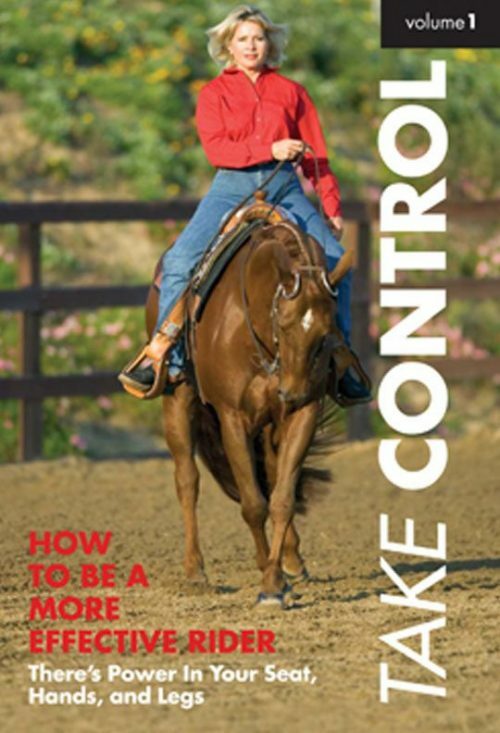 If your horse wants to charge forward, a ride is always a lot more enjoyable if you feel in control. If you’re driving you horse, not holding him back arguing and begging him to stay where you put him. If he refuses to stay at the speed that you left him at try this – start by evaluating his energy. Does he need lunging or is he getting too hot of a feed. Try to make sure his is mentally ready to work. Next evaluate your cues, are you using too much leg or spur, gassing him off. Every horse is an individual and requires different pressure. 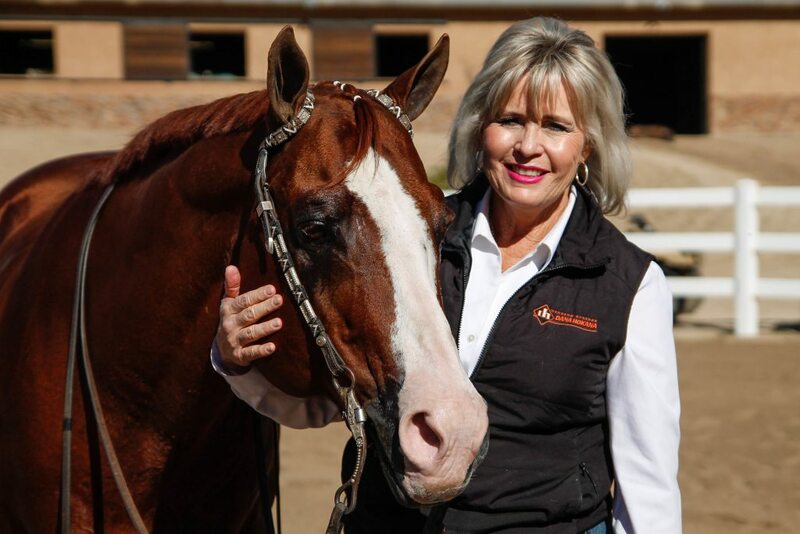 Get to know your horse and his own needs. When you have ruled out too much energy or too much leg and you feel he’s just being disobedient then when he charges off stop him but don’t slam him in the ground, back him then roll him back and try again. I often stop a chargy horse do another exercise such as a leg yield or taking his face to one side or another before I lope him off again. This will relax him and also remind him that I have control of his body and it is ok he can relax in the workout. 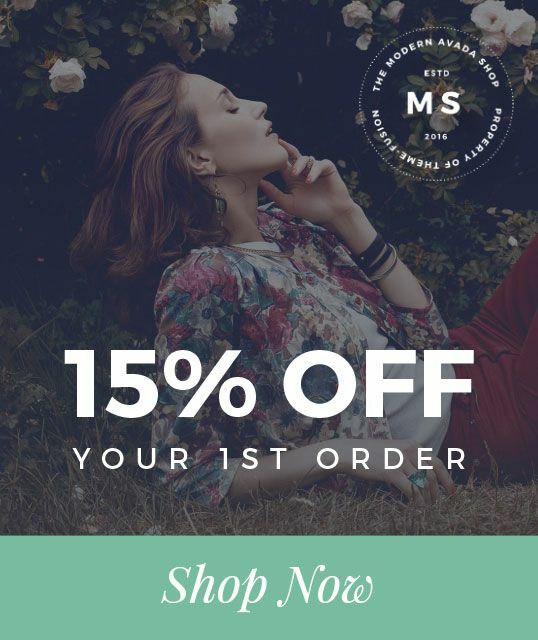 Good luck with this and remember it takes a long time and much patience to develop you horse into an enjoyable, responsive horse that says yes to you.